Every family is unique, but we all need to learn how to take control of spending, maximize our incomes, and move closer to achieving financial freedom. Parenthood is challenging under even the best of conditions. For single parents, however, the challenges faced on a daily basis are multiplied, and the risk of not getting their financial house in order is serious. That's why it's even more important for single parents (especially moms, who, according to the study, represent over 90 percent of single-family homes) to adopt successful budgeting strategies. And it's not getting any easier. The cost of raising a child has grown rapidly, increasing the need for single parents to learn how to budget. Invest the money you save! According to economists at the USDA's Center for Nutrition Policy and Promotion, the average cost of raising a child from birth until his or her 18th birthday was $233,610 in 2015, although that number varies depending on a myriad of factors, such as household size, family situation, income level, and geographical location. This huge sum doesn't even account for the cost of college! 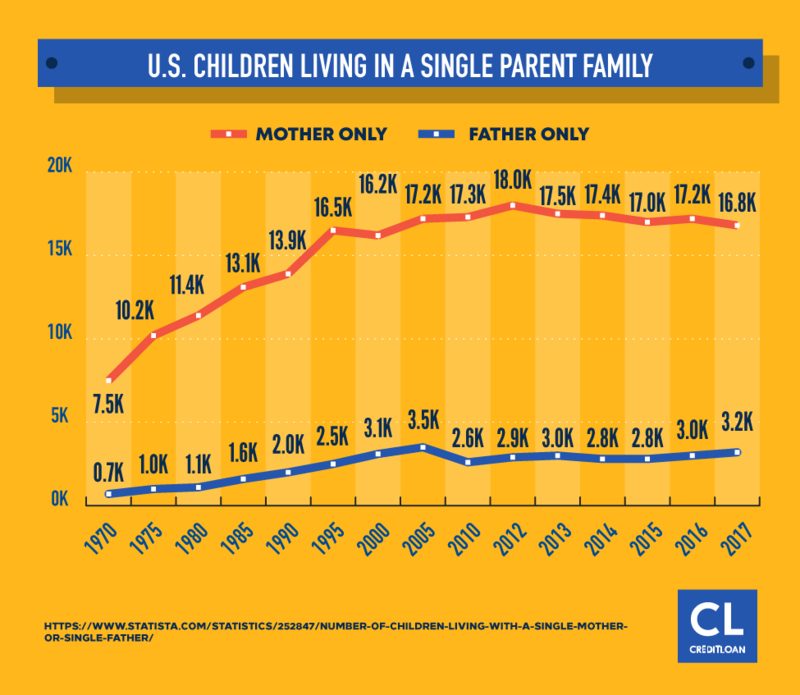 For single parents, rising costs like college tuition, which for public universities has grown by 226% since 1995, and healthcare are just more concerns to add to an already-long list. One of the four biggest financial fears is the fear of budgeting. The best way to overcome your apprehension about budgeting, according to several experts, is a strategy called "graded exposure," where essentially, you will very gradually and methodically learn to face your fear. Break down the task of budgeting into not-so-scary, bite-sized pieces. Start with setting a budget for tomorrow before jumping into a monthly or yearly plan. Do that for a week or two, then begin making a weekly budget. Continue to budget one day at a time, and over time you'll lose the fear and become more comfortable with long-term planning. Creating a budget provides peace of mind and allows you to spend the amount allotted for something (i.e, grocery shopping) without worrying about upsetting another important area. 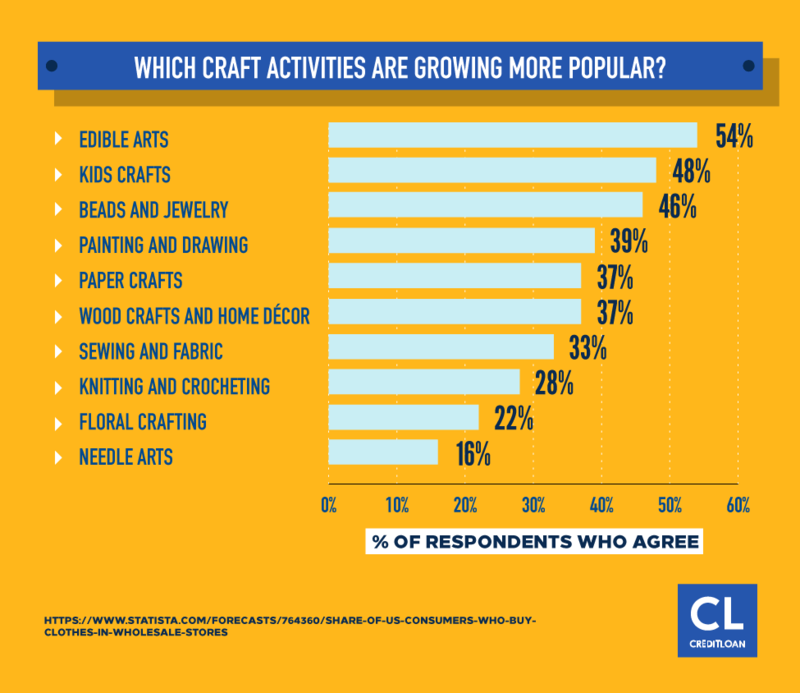 Just like there are different types of households, there are also different types of budgets. While a certain style of budgeting might work for other single parents you know, that doesn't mean it's the right way to budget for your family. It's all about being realistic about your personality and lifestyle; choose the wrong budgeting style, and you might end up spending irresponsibly. Single parents have unique budgeting challenges, first and foremost, because raising children on just one income can be difficult. After all, children simply do not come cheap. Next is finding the right budgeting method that fits your lifestyle and will give you the best chances for success in sticking to it. In this option, the money you take in and the money you spend should equal out to zero. Draw a line down the middle of sheet of paper. On the left, write down all your income (job earnings, income from a side job, child support, etc.). On the right, write down all your expenses. Don't forget to "pay yourself" in expenses by putting a set amount into savings. If it doesn't equal zero, adjust your spending until it does." Spend 50 percent of your earnings on needs. Spend 30 percent on any wants you may have. Allocate the remaining 20 percent of your income for savings (or debt reduction). This principal is based on the belief that parting with cash is much more painful than charging your purchases on a credit card. Therefore, if you can only buy with cash, you'll more likely to save—and the research backs this up. In one study, participants were willing to spend $175 on a Thanksgiving party when using a credit card to buy the food, but only $145 when using cash. 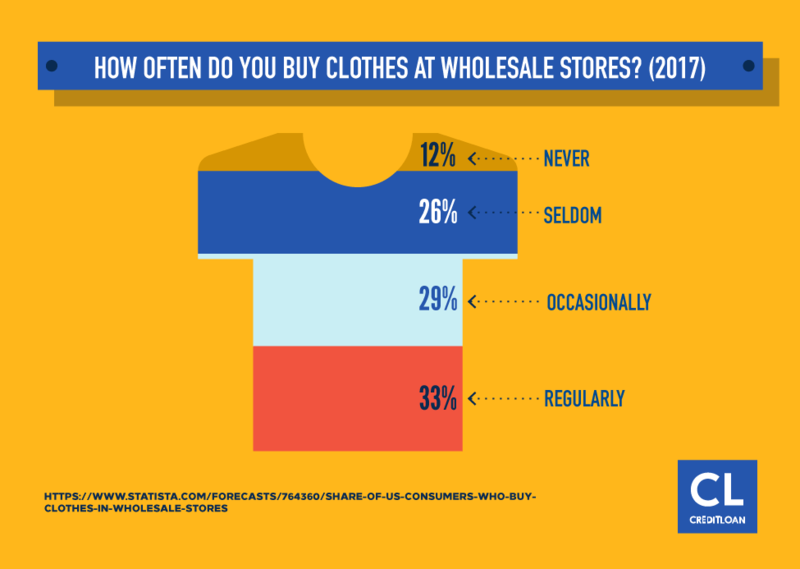 Other research studies indicate that using cash causes people to rethink their purchases. Once you've decided on a budgeting strategy, it's time to get to work. Calculate your monthly bills and subtract that number from your total monthly income to see what, if anything, you have left over. After you've covered all your necessities, you can figure out where the remaining money will serve you best. Consider the hypothetical of a single mom who is paid twice a month and almost never receives child support. Come payday, she puts aside half of her first paycheck of the month to cover a portion of the rent. When the next paycheck comes, paying the rent doesn't seem so overwhelming since she already has half of the amount saved. If things ever get tight, she can simply calculate how much she can spend per day until the next paycheck comes. Knowing that she can only spend $20 or $30 per day is a better approach for someone in this situation than trying to wrap their head around how much they have for the entire month. And she always maintains a savings cushion. "When I was making $12 to $14 an hour, I wasn't able to save $100 or more a month, but I could do $25," Turner says. Without creating a spending plan, Turner would never have been able to allocate money into a savings account on a monthly basis. By keeping a budget, Turner knew how much she could spend per day as opposed to per week or month which helped her stay out of debt and accumulate a savings fund. While the cost of living varies depending on your location, the Basic Needs Budget Calculator is a useful tool to help you get a sense of the minimum amount of money you would need to afford to live in various cities. The following chart provides an example of the basic needs for three types of living (rural, moderate, and high cost), with comparisons for both two-parent and single-parent cost. The best way to improve your finances is to know where your money is going. Once you have your budget, keep track of your spending habits on a regular basis, and make adjustments accordingly to ensure you stay on track. Indeed, by keeping a daily log of your spending, you'll soon get a feel for your spending patterns and see which areas you can scale back. While it might seem obvious that it's important to pay off your debts to improve your finances, at least two-thirds of Americans don't budget. Too much of our money goes to paying off debt. By paying it down, we can put the cash toward things like emergency funds, retirement, and college tuition. Solution: Set aside a fixed amount each month to put toward paying off your debt. Pay it early; don't wait until the end of the month, or it may get spent on other things. Not a necessity, but you're going to want to do some fun things with your children every now and then. You can maximize local activities that are free, such as at your local library, but often some part of your day—like meals or transportation—will necessitate spending. Solution: Even if you put aside a small amount, you'll know ahead of time how much you can afford to spend on fun without getting in financial trouble. You may be looking after others now, but if you don't start looking out for yourself, then there will be costly headaches for everyone later. Again, baby steps here. There are insanely smart ways to save for retirement. Look into contributing to your company's 401(k) program. At the very least, if your employer matches your contributions, contribute enough to receive the full match since that is essentially free money. If that's not an option consider an IRA, which is an individual retirement fund designed to help individuals save for their golden years. It depends, but generally, you should aim to set aside a minimum of 10 percent of your income per year for retirement. Solution: If you can afford to contribute the maximum amount to your 401(k) or IRA then do so. If not, contribute what you can and aim to increase your contribution each year, especially if you get a raise. Don't forget to invest that money, so it can grow while you wait to retire. Thanks to compounding interest, when you invest your money, it can grow to amounts you didn't think possible quickly. For instance, if you invested $5,000 per year for 20 years (with a decent rate of return being 5 percent), you wouldn't have $100,000, but nearly $200,000! Your toddler might not be ready for college anytime soon, but that doesn't mean you shouldn't be planning ahead. If you're trying to save for your children's college, the best way to do so is to start early. If you set aside $50 a month to place in an education savings plan when they're born, by the time they are 18 you will have saved $21,000 (based on a 7 percent return). Along with getting an early start on building a college fund, there are also tax advantages to a 529 plan. Any money earned from investing, if used for education purposes, is generally not taxed. Even if your children don't end up going to a traditional college, you can still use the money to help them prepare for a career. Solution: Start thinking ahead and set up an account to deposit your savings for education in (you can do so online with most large banks). ESA (Education Savings Account): This is a tax-deferred account in which earnings and withdrawals are free from federal income tax if used for qualifying educational expenses. You can deposit up to $2,000 each year per student until age 18. All funds must be used before the child turns 30. 529 College Savings Plan: 529 plans are state-sponsored education funds (terms vary from state to state). Earnings are not subject to federal tax as long as they are used for qualifying educational expenses. It's important to have additional funds on hand in the event you run into a series of emergencies. Instead of turning to a credit card to pay for these unexpected expenses, you'll be prepared. Having an ample emergency fund can decrease your stress, turning crisis situations into mere annoyances. How much money you have in your fund depends on how much money you spend (on average) over three to six months. So, if you determine that you spend on average about $3,500/month, most financial management experts will recommend that you have a minimum of $10,500 set aside for emergencies. 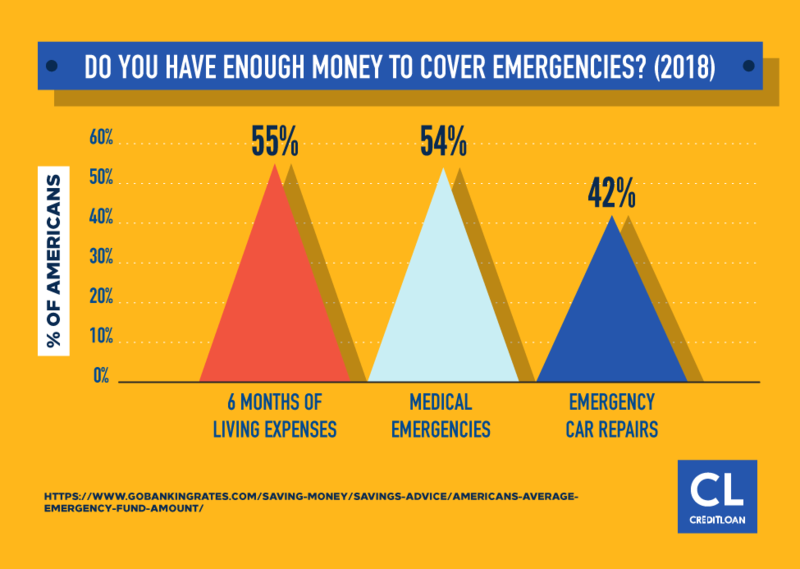 Saving up for an emergency fund doesn't happen overnight. Consider saving a portion of each paycheck to build up an emergency fund. After all, you never know what unexpected expenses life is going to throw your way. The idea behind the rainy day fund is to store at least three to six months' worth of expenses in the event of unforeseen circumstances. You never know when something like a blown transmission, a refrigerator in need of replacement, or unexpected medical expenses might pop up. Ultimately, the point of the emergency fund is to avoid adding to your debt in a time of need. Solution: Set up a high-yield savings account with automatic deposit right from your paycheck. That way, you won't even have a chance to "miss" the money, or risk spending it on other things. There are plenty of creative approaches you can take to start filling up your emergency fund. After you've budgeted for all of the life's necessities, you might have to consider cutting costs in certain areas so you're not completely wiped out each pay period. That's not to say certain things like TV, the Internet, cell phone, or entertainment need to be on complete shutdown, but you may want to switch to a cheaper cell phone plan or negotiate a lower rate with your provider. In March 2017, the median price of an existing home sold in the U.S. was $236,400. Assuming you took out a mortgage to buy the home and put 10% down, then you'd be looking at approximately a $1,300 bill for housing each month. That's $15,600 a year in mortgage payments and does not take into consideration taxes or upkeep. When you think about your housing needs, run some numbers through a mortgage calculator to see what you can afford. You do not want to be house rich and cash poor, which means you may have a nice house, but you can't afford to cover other expenses. Consider refinancing your mortgage for a lower interest rate—but make sure the refinancing fees will not wipe out any savings you might have put aside. Think about downsizing—is it feasible to live in a smaller, more affordable home, or to move to an area where the cost of living is less? Consider a roommate, be it a family member or a friend you know and trust. It may not be at the top of your list, but it's an option if you need some assistance with your monthly bills. Whether it's setting money aside for a car and gas or for public transportation, there's no way around this expense. Ditch the car. If you can, avoid driving at all. We know. It sounds much easier than it is. But if you can, you'll save on car insurance, gas and much more. How easy it is to be carless, really depends on where you live. But given the rise of ride and car-sharing services such as Uber, Lyft, and Zipcar, you'd be surprised at how much easier it is to forego a car. If you buy a car, consider a used one over the newest model. If it's near year-end, take advantage of any deals offered on the current year's remaining inventory. Decide which additional options you can forgo. With cell phones providing navigational apps and hands-free talk, you might be able to eliminate navigation and Bluetooth and save on the additional fees. If you've opted to forgo the car, figure out which modes of public transportation are the cheapest. Benefits such as an affordable alternative to driving and numerous transportation options (bus, subway, train) make this something to consider. TV is not only a way to unwind after a long day but also helpful as an occasional stand-in sitter when mom needs to do household chores like working on her budget. There's no shame in keeping the TV, but be sure to work it into the budget. Call your cable company: Explain to the customer service rep that you are looking to save money on your monthly bill. Find out if there are any possible savings plans or current promotions you can take advantage of. As a longtime customer, your hope is that they will give you a financial incentive to remain a customer. Change your service: If your cable company won't work with you, switch to a different one. Working with a new vendor can help you land a better deal; companies usually offer incentives for new customers. Bundle your services: Packaging internet, phone, and cable together can help you save. Cut back your services: Consider lowering your bandwidth; you might be able to cut back on some speed without even noticing. And be sure to evaluate whether you really need all the premium channels you're currently paying for. If you're a single parent struggling to make ends meet, this category offers a lot of room for whittling. Kids grow fast so consider passing on the name brand clothing and looking for something comparable in style and quality, at a fraction of the cost. Yard sales often sell clothing that have only been worn a handful of times. If you have friends with children, consider a clothing swap. Women do this all the time with the clothes they no longer want or wear, so why not turn it into a fun night with friends. Browse online sites like RetailMeNot, FreeShipping, and eBates, where you not only save with promotion codes, but also earn money back on your online purchases. You can't go without food but there are different ways to reduce your grocery store bill and get the most for your money. Opt for store brands over branded food. If it's the same thing, then why pay a higher price? Pass over the brands and slick packaging to save big. Shop the sales and clip coupons. In addition to the store's weekly circular, check out sites like Coupons and Checkout51, which allows you to earn cash back on the groceries you buy. Plan ahead—a year ahead: Stock up on holiday and seasonal supplies like gift wrap, cards, paper goods, decorations, gift items, and more the days and weeks after the holiday. By planning ahead and not buying right before, you are guaranteed to save. Using the latest per-person average Easter expenditure from the National Retail Federation, that's $152 per year—just on Easter goodies! Shop in bulk with friends and split the cost: Try food shopping together at stores such as Costco, Sam's Club, or BJs. Wholesale stores sell products in bulk and you can split the cost of the food. You'll save BIG this way – without sacrificing quality or choice. Get movin' and groovin' on your own: If a gym membership is an expense you can't afford right now (at an average cost of $58 a month or almost $700 per year, it's no surprise! ), you can still get a great workout for free. Try walking, jogging, or running in your neighborhood, and Google "body weight exercises" for ideas to build muscle using, your body (no equipment needed!). Changing simple spending habits and figuring out what you really need versus what you want will help you in the long run. Pay attention to the little expenses because they add up. As The Budget Diet points out, if you cut your spending by $13 a day, you will save $400 a month and $4,800 a year! One of the best things you can do for both your sanity and your wallet is to cultivate friendships, particularly with other single parents. You're both going through similar situations so why not provide one another with much-needed help? By turning to friends for support, you're automatically holding yourself accountable, increasing the positive impact of budgeting and saving. We partner up with our friends when we're dieting and exercising, so why not do so when we're trying to stay on the right financial track. Help one another resist the temptation to buy something unnecessary or wildly overpriced and out of budget. Someone to talk to about investment decisions, and a mentor who can keep you on track. As the article suggests, it's important to choose your "money buddy" carefully – if you both have careless spending attitudes, you can end up encouraging each other to make poor financial decisions. The second set of hands: There are times you'll need help with something around the house that you just can't do on your own that's when it's comforting to know you have a friend nearby to help you out. If you're in need of immediate help, it's a smart idea to look into government assistance. Supplemental Nutrition Assistance Program (SNAP): Formerly known as the Food Stamp Program, this federal aid program provides food-purchasing assistance to low-and no-income people living in the United States. The amount of benefits received depends on the size, income, and expenses of each household. Medicaid: If you are considered a low-income household, you may qualify for Medicaid, an insurance plan provided by the government. There are no deductibles and you do not pay for the coverage. Section 8 Housing: If you're unable to pay your rent each month, this affordable housing program is an option to consider. For more details and a better understanding of these programs and other benefits you might be eligible for, visit www.benefits.gov. Today's technology, smartphones, and apps allow access to whatever it is we need at the touch of a button, so you don't have to feel like you're a one-man team. In a survey conducted of more than 3,600 smartphone owners who use their phones to shop or bank, 18 percent said they also used their phone to budget. Out of those, 69 percent said they strongly agree that budgeting apps have helped change their spending habits. These budgeting tools are simple and easy to use, and can help you view your full financial picture. And best of all… They're all free! PocketGuard: Connects to your bank accounts so that you always have access to your current transactions and balance. The home screen shows how much money is in your pocket now, your income and how much you've spent. It also analyzes your spending to identify recurring payments, see where you spend your money, and areas you might need to cut back on. BudgetTracker: Allows you to manually track all of your accounts, enter expenditures, create budgets and calendars, and even compile notes. Wally: This expense tracker lets you log your expenses either manually or upload a photo of your receipts. Wally alerts you when a new bill is due when you hit a savings goal, and other activities. Mint: Track nearly every aspect of your financial life from spending and income, banks and credit cards, retirement accounts and loans, in one place! Setting up an unlimited number of budgets is easy, and spending is simple to track. Mint makes it easy to see what you have and what you owe without letting anything fall through the cracks. Acorns: This nifty little app rounds up expenses made on your credit card and deposits the difference into a designated savings account. So if you spend $97.73 at the grocery store, expect to find $2.27 deposited into your retirement savings account, for example. These financial apps can help ease some of the difficulties that come along with managing your money, especially if budgeting is new to you. You'll know what you're spending your money on and how you're doing meeting savings goals with a touch (or two) of a button. Now instead of crunching numbers, you'll free up the time to devote to other activities. Another challenge for single parents who are the primary caregivers is child care particularly during the younger years when children aren't yet in school. While these are just a handful of ideas to get you thinking, only you can decide the best childcare option for your family. A big help in off-setting the cost is child support but not every single mom is fortunate enough to receive a steady, monthly check. If you do receive monthly support (you should! ), or any type of financial assistance from your former spouse, you might want to consider hiring a nanny or even an au pair if you do not want to go the daycare route. Summer Blackhurst, a mother of three small children living in Utah, who writes a parenting blog with Go Au Pair, says while nannies are the most expensive option, an au pair can be the most cost-effective choice when you have three or more children. "The au pair option is rarely considered because so many single parents think it is going to be out their budget range," says Blackhurst. "But single parents are drawn to this program because having a second set of hands is helpful." In addition to having extra help, which is a big plus for single parents, the cost is another factor. "Childcare rates are now rivaling mortgage costs and college tuition rates," says Blackhurst. "Using an au pair may help curb these high costs." Not only is it the most affordable, it's also the most flexible when there are multiple children involved. According to Blackhurst, an au pair costs less than $8 an hour no matter how many children a family has. In comparison, a nanny will average anywhere from $10 to $16 an hour and even up to $25 in some areas. Daycare costs are higher, especially with the more children you have. And some places charge additional fees for things like late pickup. "We had one mother who went from one child to three after having twins in the Seattle, WA area, and her daycare costs went from $11,000 to $33,000 a year," says Blackhurst. In comparison, an au pair will cost about $17,000 a year or less and the biggest commitment comes with up-front costs and fees getting them in the country. If you average out the cost over the year or two that an au pair lives with you, they are fairly inexpensive compared to the other options. Like everything else in life, there are many considerations to weigh when choosing which childcare option is best for you and your family. Another option to look in to is a Flexible Spending Account (FSA) offered by the Federal Government that's administered through workplaces. If your job offers an FSA (also known as a Dependent Care Account), you can put aside up to $5,000 in pre-tax dollars to pay for child care expenses. If you're struggling to afford child care, consider the government-funded Child Care and Development Fund, which provides assistance to low-income families who need child care due to work, work-related training and/or attending school. We know it's hard to find the time and energy when you have so much on your plate, but there are two things you can do — once you get started budgeting — to help set yourself up financially. Freelance your skills: If you're talented in the areas of writing, website, PR, graphic design, or social media, check out freelance-opportunity sites like Upwork or Guru. Have a garage sale: You know the saying, "One person's trash can be another person's treasure…" Make their treasure your extra money! Get older kids involved: For single parents with older children who are still living at home, another way in which you can maximize your income is by getting them involved. Exposing them to household responsibilities is a surefire way to teach them responsibility and it will be a good briefer for "real life." If they are working, have them contribute to some household expenses – this way they'll have a sense of what it's like to part with a set amount of money each month to keep a household running. Each month let them be responsible and manage a particular budget category (within reason). This is another great way to teach your child how to budget and manage money on a fixed income. As you set up your budget and figure out what type of spending plan works best, you should also maximize your discretionary income—the amount of money that is left for spending, investing, or saving. Kills fees and set up direct deposits – Direct deposits can save you money in two ways: First, your bank may waive some fees if you bank electronically, and secondly, by automatically putting your paycheck directly into an account (checking or savings) you will not spend but rather have a better chance to save. Lower what you pay in taxes: Contribute to your 401(k) or IRA – By putting money aside before taxes you lower what you pay for tax each year. Plus, companies that offer 401(k) often match employee contributions essentially giving you free money. As a single mom or single dad, it's important to come up with a plan for your future early on, regardless of how broke you feel right now. The central pillar to achieving your future financial goals like retirement and buying a home is not just saving, but investing your money. Failure to invest as soon as possible sets you back on achieving any major financial goal. Luke Orlando, a financial analyst for Alvarez & Marsal in Houston, Texas says, "Taking advantage of the time-value of money now will have the greatest impact on your future. The money you budget and save NOW, not later when you think you can afford it, will have the greatest impact on your financial future." That's because, according to Brett Graff, a family finance expert, author, and founder of TheHomeEconomist, of the magic of compounding interest, which means you earn money not only on your initial investment, but also on whatever interest it has generated. "It's easier to have your money make you money than to work for it," says Graff. "The power of compound interest is the reason that financial planners and retirement experts recommend starting a retirement plan early," says Carol Wiley, a writer for Smallbusiness. We've written a super helpful article about investing and common mistakes people make getting started. It's super important for single parents to not miss out on the opportunity to earn additional wealth by investing their savings. Here's a look at how we explained the power of compounded interest using just $100. If you put $100 in your savings account, earning .6% a year, it would only grow to $112.71 after 20 years. In other words, it would take you two decades to earn a measly $12 in interest! But the average return on investment if you invested your money in the US stock market over the last 100 years is 7%. Put your money in a savings account and you'll get less than 1% return on your money. Put the same amount of money into an investment account and you'll average a return of 7%! This BIG difference is important because of the "compounding interest effect." This time, instead of a savings account, we are going to put it into an investment account and invest it in the US stock market. In the first year you invest, you'd have $100 plus 7% return, or $107. Just by leaving your money invested , and assuming you didn't put any additional money in the next year, you'd have $107 plus 7%, totaling $114.49. Skip ahead 20 years. You'd have $386.97. Now think about that $100 if you added a few zeros to it. Each year. Woo wee! The growth of the $100 to $386.95 — or a 387% increase — is due to compounding interest. The money is making more money just sitting there. As the Chinese proverb goes, "The best time to plant a tree was 20 years ago. The second best time is now." This is how you should look at investing: It's never too late to start saving. But by taking advantage of the budgeting tips and strategies featured above, you can maximize your income and get so much closer to achieving your financial goals. Some of the best adults today were once raised by one amazing parent. Who do you look up to for their parenting skills and what was it that made them a success? Let us know in the comments below.